The first verse of Psalm 127 is one of the most poignant passages in Biblical literature. And, although it is taken here; out of context; the words are so beautifully positioned so as to read almost as if they were poetry; which most of the Psalms are. It is often known as the Song of Ascent. It is attributed to Solomon. This was the quote from the Psalm which President John Kennedy had planned on using in his speech at the Trade Mart in Dallas, Texas on November 22, 1963. He never got to make it. In the context of the Psalm itself; printed in its entirety below; the Psalm pays homage to the Lord; and acknowledges that everything we do comes from that deity. It also exposes our own misconception that we are in charge of anything at all. After all, when the watchmen wake it is only in response to what has already been done. they labor in vain that build it. The next 4 lines deal with the frivolity of trying to do it all; staying up late; lamenting your troubles. God gave us the gift of sleep, and the commandment of a Sabbath to help us cope with the craziness of living. Rather than wrap yourself only in work and self-pity, look to your family for the comfort you desire. True happiness is more likely to be found there. That guy Solomon sure was smart. 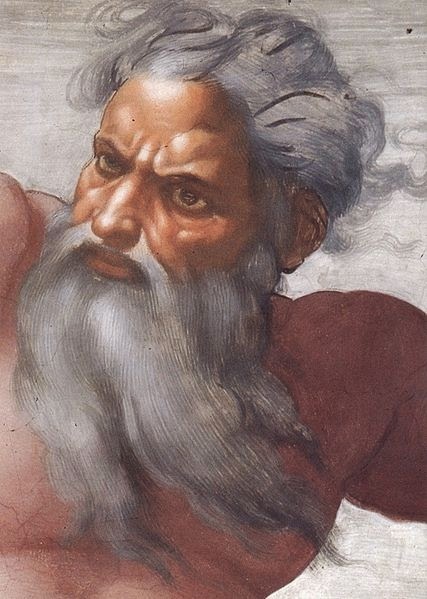 Note: The illustration of God at the top is from Michelangelo's work in the Sistine Chapel.